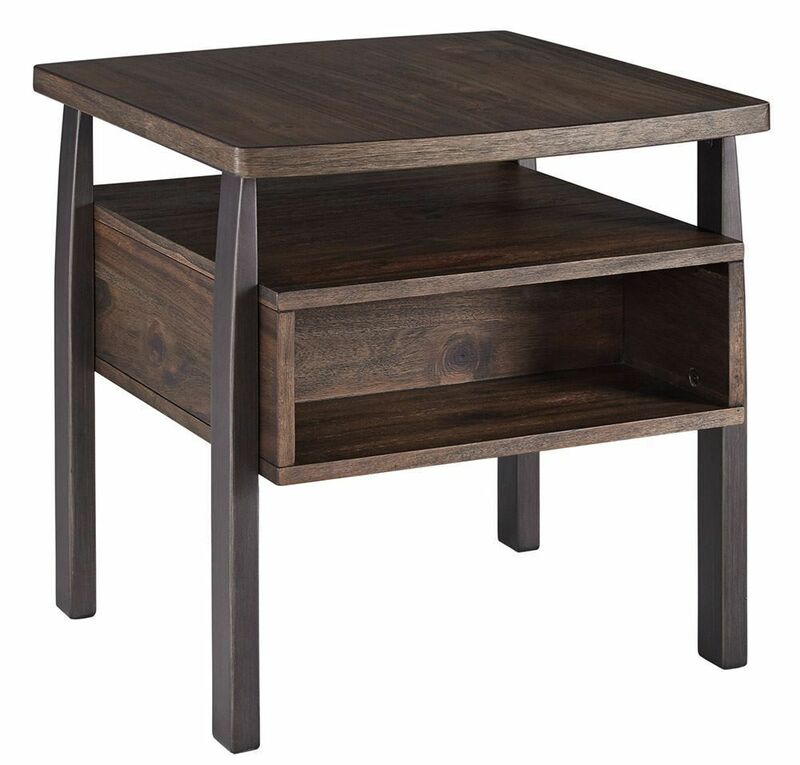 You get plenty of storage with the Vailbry Brown Rectangular End Table! With "floating" open box storage and and AC power supply with two USB charging ports, this table is perfect for holding anything you need it to. Not only is it fabulous for storing your valuables, it showcases a striking style, with a grayish-brown distressed finish with dark brown finished legs. Bring home the Vailbry Brown Rectangular End Table today! Storage, storage, storage . . .you get plenty of storage with the Vailbry Brown Rectangular End Table!